Chinese e-commerce giant Alibaba has upgraded its intellectual property protection platform, producing "significant" results in its effort to fight fakes. Unveiled at its Brand Rights Holders Day in Beijing, the online marketplace showcased the enhancements to the platform, which uses new data modelling to speed up the process of taking down counterfeit and IP-infringing product listings. In the first month of its introduction, Alibaba said almost all cases submitted by rights holders (96 per cent) were handled and closed within 24 hours, including the takedown of 83 per cent of the listings. The remaining 17 per cent were declined mainly for reasons such as insufficient evidence to prove infringement or a mismatch between the complained listing and IP documents filed. "Brand trust is core to our mission," Jessie Zheng, Alibaba's chief platform governance officer, said in a statement. "Our enhanced platform, along with significant progress in other important initiatives all showcase the industry best practices Alibaba is creating for the benefit of all our stakeholders." The enhancements that Alibaba has made to the IP protection platform include: a single entry point across all Alibaba e-commerce platforms and a streamlined process to access the validity of complaints; a more automated complaints-processing and product-authentication system powered by new algorithms and data models; a dedicated team of IPR professionals to quickly respond to inquiries; broader brand-protection technological capabilities such as multi-lingual trademark recognition; and improved search engine optimisation for easier discovery of and access to the IPP platform. 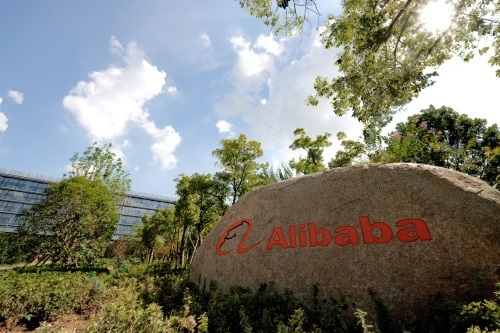 Alibaba said the announcement of the upgrade received positive feedback from brands. The firm noted in a statement, comments from Jessica Guo, senior legal manager at sporting goods firm Spalding, who said: "As a long-standing partner of Alibaba's, I'm impressed with the technology upgrades to the platform we saw today, and appreciate Alibaba's openness about its processes and willingness to seek our input on how to better work together. As a brand, I learned a lot, which instils our continued trust in Alibaba to protect our IP." To ensure continuous improvements to the IPP platform, Alibaba will conduct regular satisfaction surveys and invite rights holders to provide feedback about their user experience. The Brand Rights Holders Day is a bid by Alibaba to improve relations with brands amid recent criticisms that the online marketplace allows the persistence of fake goods on its platforms. It is also an opportunity to show off the efforts the firm is taking to crackdown on counterfeits and to discuss with brands how to further improve online and offline IP protection. The day follows recent news of Alibaba's success in wooing French luxury brand Kering, where the owner of Gucci decided to drop its lawsuit against the online marketplace over fake goods in favour of a partnership to co-operate in efforts to protect intellectual property. The e-commerce giant has been keen to show the progress it is making in its fight against fakes, especially in light of last year's US Trade Representative's decision to relist Alibaba's Taobao platform as a notorious market. It has been pushing for closer collaborations with brand holders and law enforcement as part of its efforts, seen with the creation of the Alibaba Anti-counterfeiting Alliance, which is a collaboration with 30 brands, including Louis Vuitton, Samsung and Mars, and the Cloud Sword Alliance, which is a partnership with Chinese provincial governments based on data sharing to track down and prosecute counterfeiters. The site has also made moves to tighten up proactive detection of product listings that violate IP. For instance, Alibaba announced continued efforts in the proactive monitoring of the improper use of branded keywords in product listings that are used to mislead consumers. Using advanced algorithms to identify and remove such listing, has resulted in an 84 per cent drop in complaints about the misuse of trademarked keywords in the year to July, Alibaba said.